In a city where food trends are as fleeting as fashion, the OXO Tower’s enduring popularity offers some respite from this cut-throat, fickle world. Just last week (1 March), superlative Italian restaurant L’Anima, based in the City, said it was closing, while brothers Chris and Jeff Galvin announced the closure of their Galvin Bistro de Luxe in Marylebone in January 2018, attributing its demise to rising rents in the capital. Two examples (there’s several more) of restaurants struggling in London’s increasingly tough trading conditions. It’s not just the premium segment that has been affected either; last month Jamie Oliver’s Barbecoa restaurant in Piccadilly went into administration, while Italian chain Prezzo is set to close almost 100 of its outlets this year. Yet the OXO Tower Restaurant, Bar and Brasserie, which opened in 1996, has managed to keep luring in the punters for over 20 years, riding out several recessions, Brexit, and everything in between. But what exactly, then, is the secret to its success? 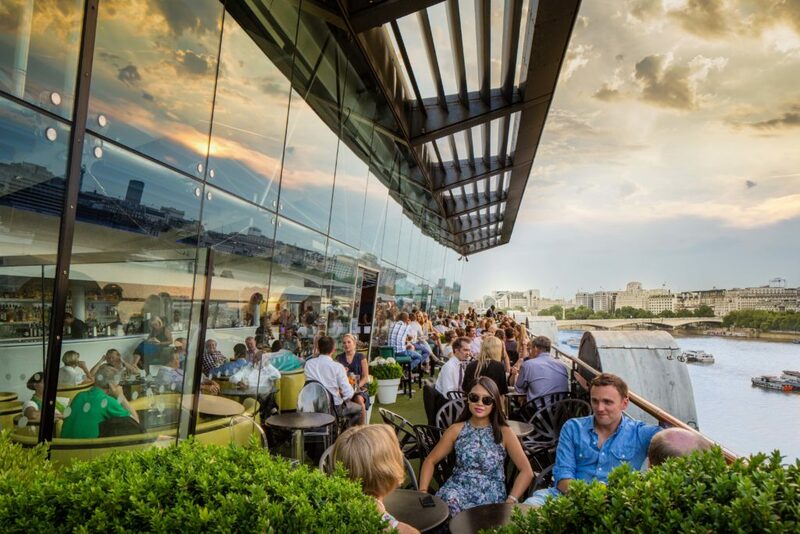 If other restaurants, headlined by celebrity chefs, multi-million pound décor and slick service cannot survive, why has this institution on London’s Southbank managed to stay afloat for so long? Let’s start with the obvious – the Instagram factor. 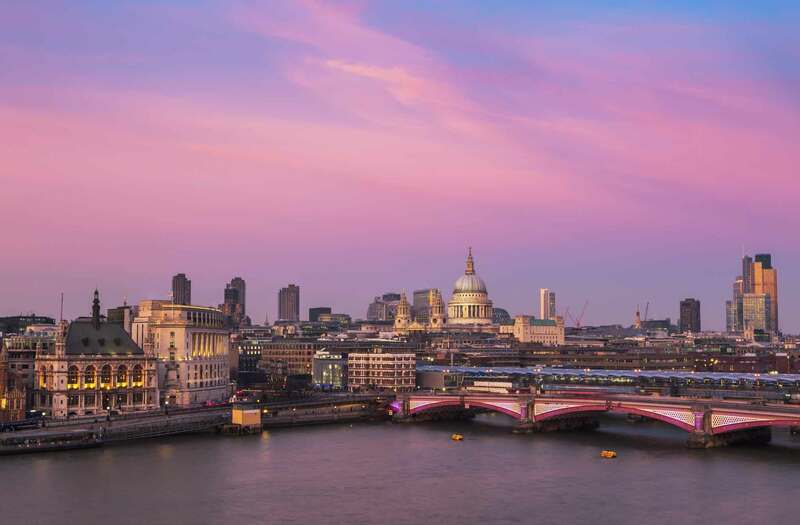 Situated on what is arguably London’s most prime piece of real estate, the OXO Tower offers breathtaking views of the river, St Paul’s cathedral and the City. It’s the stuff of dreams, numerous films, and or course, social media. Indeed, with floor-to-ceiling windows overlooking the Thames, the team at the restaurant could serve dire fayre, and still turn people away. Which is not to suggest, for one minute, that this is an “all style and no substance affair.” One of the OXO Tower Restaurant’s rare qualities is its ability to retain and nurture staff – Yorkshire-born Executive Head Chef Jeremy Bloor has been handling gastronomic duties since 2001, and many of the managers have been there from the beginning. As a result, the service is still among the best in London; slick, personable and highly attentive. Moreover, while not slavishly following foodie trends and fads, the OXO Tower is open to trialling new concepts. Last year, Bloor introduced a dedicated vegetarian menu to complement the existing choices; it was a massive success, rising above the cliches of stuffed peppers and mushroom risotto. The venue itself also underwent an extensive refurbishment in 2015 and to this day is always packed with diners enjoying the sunset while sampling the mix of European and British dishes. Of course, all these touches would be worth nothing without the prowess of Bloor in the kitchen, who manages to keep a fairly extensive – and changing menu – relevant and exciting without offending diners searching for the familiar. So chicken liver parfait appears hand in hand with truffle burrata; fillet steak and duck breast with pistachio puree keep the purists happy, while tarragon and whole grain mustard polenta primavera gives the more adventurous, and indeed vegans, a happy main event. Puddings, rather sensibly, largely stay in the realm of comfort as opposed to experimentation – I defy anyone not to enjoy quince and pear Tarte Tatin, paired with a tangy dollop of vanilla crème fraîche. And before I forget, fussy oenophiles tend to leave as satisfied as discerning gastronomes; the wine list is extensive, intelligently curated and covers the esoteric and traditional, with value and opportunities to spend lavish sums both on the cards. It’s a cliché, sure, but a cliché that works for this most multifaceted of restaurants: there really is something for everyone at the OXO Tower Restaurant, Bar and Brasserie.